Posted on August 10, 2016 January 3, 2017 By John W. Moravec, Ph.D.
Congratulations to our book giveaway winner, Amanda Miller! 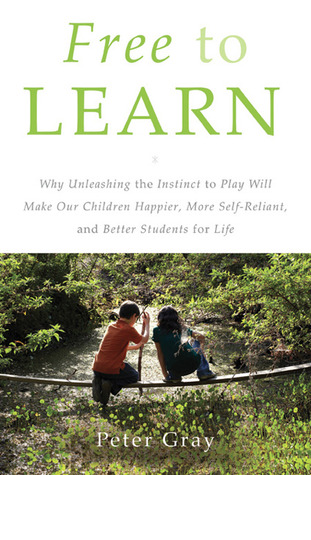 Join us for a Twitter discussion on Peter Gray’s book, Free to Learn: Why Unleashing the Instinct to Play Will Make Our Children Happier, More Self-Reliant, and Better Students for Life at 10am (U.S. Central/5pm European Central) on December 3, 2016. We will use the hashtag: #EFReads. Developmental psychologist Peter Gray reminds us of the importance of play; not only for students but for everyone! We selected this book because play has become a hot topic in education again recently. From taking away recess as punishment for misbehavior or academic non-compliance to providing students additional time during the school day for free, unstructured opportunities, we wanted to explore what others are thinking when it comes to the topic play and how it relates to our educational settings. In Free to Learn, Dr. Gray argues that in order to foster children who will thrive in today’s constantly changing world, we must entrust them to steer their own learning and development. Drawing on evidence from anthropology, psychology, and history, he demonstrates that free play is the primary means by which children learn to control their lives, solve problems, get along with peers, and become emotionally resilient. A brave, counterintuitive proposal for freeing our children from the shackles of the curiosity-killing institution we call school, Free to Learn suggests that it’s time to stop asking what’s wrong with our children, and start asking what’s wrong with the system. It shows how we can act—both as parents and as members of society—to improve children’s lives and to promote their happiness and learning.